H 18.5" W 15.5" L 24"
Wood burl results from stress or infection in the wood and typically burl exhibits remarkable and varied grain patterns, often with voids and splits. 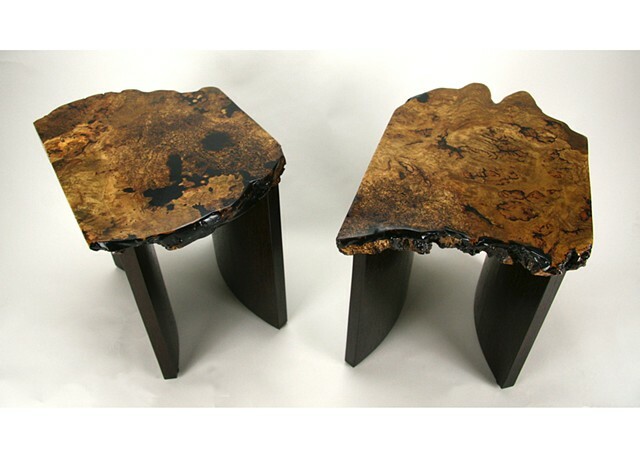 These end tables feature oak burl tops; the bases have a cylindrical section shape made on a form using bending plywood that is covered with wenge veneer. This pair has been sold but I can custom make similar tables.